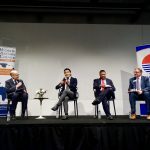 Kizuna Across Cultures, a non-profit organization that facilitates virtual exchanges between high school students from Japan and the U.S., hosted its first Global Classmates Summit in Washington, D.C. from July 28 to August 5. The Summit, co-sponsored by Sasakawa Peace Foundation USA, the U.S. Embassy in Tokyo, and Japan Foundation Center for Global Partnership, brought six high school students from Japan and six high school students from around the United States to D.C. to explore the city, engage with Japanese and American cultures, and meet university students and professionals involved in U.S.-Japan relations, including Sasakawa USA CEO Ambassador James Zumwalt. The theme of the Summit was How can we strengthen future people-to-people ties in US-Japan relations? Over the course of the program students pushed themselves to communicate in a foreign language, gained exposure to potential career paths, and learned the importance of building relationships with those from other countries. The Summit ultimately achieved five core goals: Getting to the heart of communication; Deepening cultural awareness, empathy, and acceptance of differences; Recognizing the breadth of the U.S.-Japan relationship and the people-to-people ties that found it; Gaining insight on personal future endeavors; and, Gaining confidence and building life-time friendship through collaboration. Each of these goals was achieved The Summit culminated in student presentations, giving each participant the chance to reflect on what they had taken away from their time in Washington, D.C. and their time engaging in the Global Classmates program. 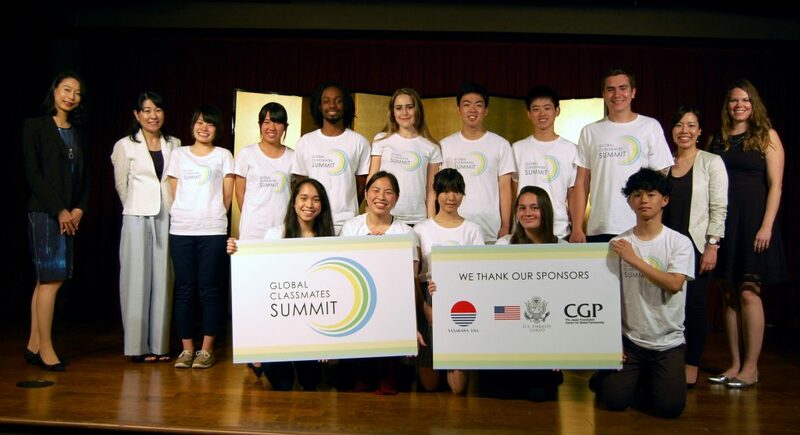 The Global Classmates Summit also attracted attention from U.S. and Japanese media, with local newspapers in places such as Virginia Beach, VA and Ishinomaki, Japan covering the cross-cultural Summit and local students’ experiences. For more on the Global Classmates Summit, including a list of participants, media coverage, and Summit photos, click here to visit Kizuna Across Cultures’ Summit page for a full recap.